For 30 years, Ken Schofield served atop the European Tour. As Executive Director from 1975-2004, he brought about stability and change to the Tour, as it grew immensely in size and stature. Schofield was born in Perthshire, Scotland, on Feb. 3, 1946. He entered the banking industry in his early 20s. At the age of 23, he became Scotland’s youngest bank manager. 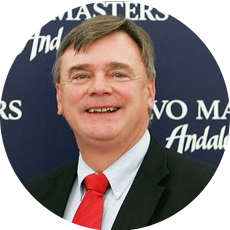 In 1971, he entered the professional golf administration when he became the press and public relations executive to John Jacobs, the British PGA Tournament Director General and future Hall of Fame member. When Jacobs stepped down in 1975, Schofield succeeded him as the first Executive Director of the autonomous European Tour. During Schofield’s tenure, the tour grew from 17 Order of Merit events to 45 by 2003, the tour’s staff expanded from 10 people to more than 120 and the developmental Challenge Tour and European Seniors Tour also began. The total, official prize fund was not quite £600,000 when he first took the helm. When he retired at the end of 2004, it was well past €100 million. Those numbers are impressive, but they do not fully calculate the growth of the European Tour, and the game in general, that occurred under Schofield’s watch. He pushed to greatly expand the game internationally, initiating global expansion for the European Tour when he took it outside of the European continent for the first time in 1982 with the playing of the Tunisian Open. As the European Tour continued to grow, Schofield was also instrumental in the creation of the World Golf Championships events, which are co-sanctioned by the PGA TOUR and serve as showcases for the game’s top international stars. Schofield was also involved in the discussions and negotiations that resulted in a major change for the Ryder Cup. It turned out to be not only highly significant for the European Tour, but, more so, for world-wide golf. In 1979, the Great Britain & Ireland team was expanded to include continental Europe. Schofield met with Lord Derby, president of the British PGA, after the 1977 Ryder Cup at Royal Lytham & St. Annes. Schofield sanctioned the 1982 Tunisian Open, the first European Tour event ever played off of continental Europe. Jack Nicklaus had made his own pitch for the change during the matches in a meeting with British PGA head Lord Derby. It had been suggested for the past decade that players from Commonwealth countries, like Gary Player of South Africa and Peter Thomson of Australia, should be included in the Ryder Cup, as both countries were part of the wider British Commonwealth. But the British PGA strongly resisted. After a few months of discussion, the original Deed of Trust struck between Sam Ryder and the British PGA was amended to include continental Europe. Most significantly, this move would immediately include Seve Ballesteros, then the top player in the world, and usher in the inclusion of such players as Germany’s Bernhard Langer and Italy’s Costantino Rocca. Entering the 1983 Ryder Cup, the United States had captured the trophy 12 consecutive times, dating back to 1959. Team Europe needed a jolt. Schofield thought that Tony Jacklin would make an ideal captain. Schofield and Colin Snape, the British PGA secretary, approached Jacklin as he was hitting balls at Moortown Golf Club, in Yorkshire, England. Jacklin said that he was kind of shocked at the offer initially, so he thought about it overnight. He accepted the captaincy the next day. 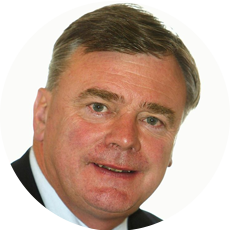 Jacklin led the Europeans to rousing success in the 1980s, winning in 1985, 1987 and 1989. That rivalry would end up elevating the Ryder Cup to an even higher status within the game, becoming one of its most revered, popular and important events. Schofield’s influence can still be felt at the European Tour in many ways. 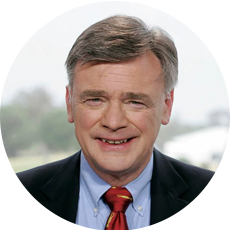 In 1991, European Tour Productions, which has become the single-largest producer of TV golf programming in the world, began under the Schofield era. After a successful career with the European Tour, Schofield received the Ambassador of Golf Award by the PGA TOUR in 2006. He later served as a writer, broadcaster for Golf Channel, speaker and consultant to various authorities, including the European Tour. Schofield continues to nobly serve the game in many charitable and advisory capacities, still working to grow the game he loves.